Unlike most portable vaporizers, the G Pen Pro vape by Grenco Science features convection heating, delivering clean-tasting, smooth, and flavor-rich vapor free of irritants. 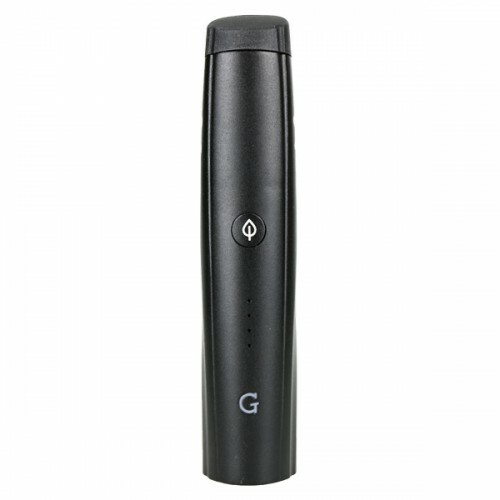 The G Pen Pro vaporizer features three presets, optimized for the most popular strains of dry herb. As you toggle temperature using the single-button interface, a new color-coded LED display shows which preset you’re on. The new G Pen Pro 2017 Edition features a more compact and elegant design than its predecessor, making it perfect for vaping on-the-go. 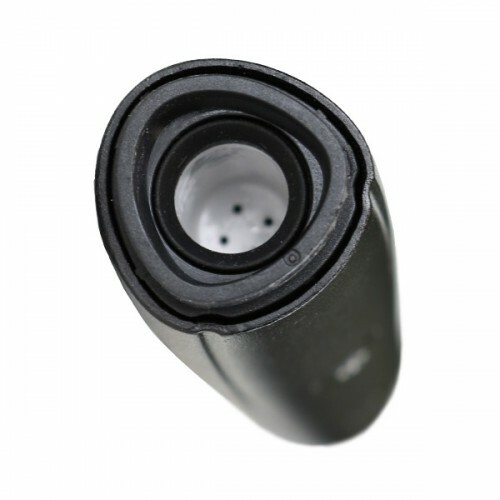 A new rubberized mouthpiece is smaller and flatter for a more pocket friendly experience while offering improved airflow. The G Pen Pro Herbal vaporizer boasts a smooth, solid exterior that feels comfortable in your grip, and a simple single button control that lets you toggle temperature and get vaping in just a few clicks. The G Pro vape is super compact, easy to hide in your hand, and won’t burden your pocket. Ideal for vaping on your feet, the G Pen Pro vaporizer is the perfect companion for enjoying dry herb in a discreet manner from pretty much anywhere. 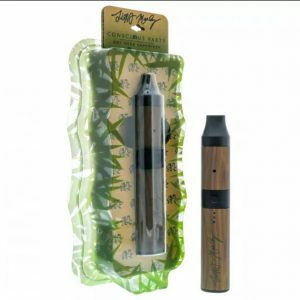 In addition to the pocket-friendly size of the G Pen Pro, the large chamber ensures you don’t have to reload dry herb as often in public, making for a more convenient, stealthy experience. 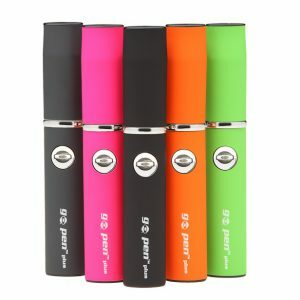 The G Pro Herbal Vaporizer is an incredibly discreet portable vape that enables you to enjoy your favorite strains from almost anywhere. Like the rest of the Grenco Science line of portable vapes, the G Pen Pro Herbal Vaporizer features a powerful battery and heating system. A fast heat up time enables you to take quick hits fast, perfect for enjoying vapor in short windows of opportunity. The smart battery has an auto-shut-off feature that turns the G Pen Pro vape off after three minutes of idleness, preserving battery power and preventing dry herb waste. 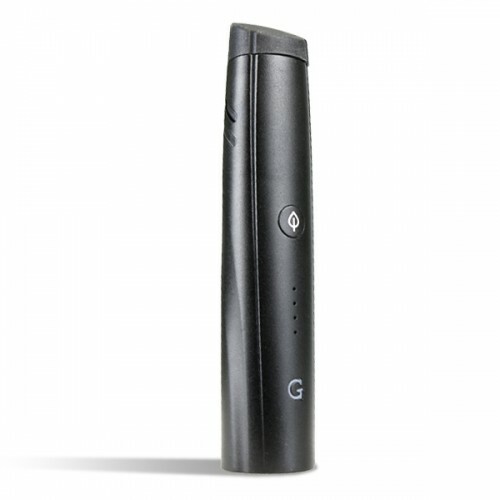 The G Pro battery powers a convection heating system that delivers excellent vapor quality. When the G Pen Pro battery is fully charged, an LED light will glow green. And when it’s time for a charge, it will flash red 4 times. Grenco Science designed the G Pen Pro vape for on-the-go use, making sure that the battery life accommodates a busy lifestyle. Charge time is rapid with the G Pro Herbal vape, and the battery life is long, ensuring the unit can last through your day without requiring a charge. 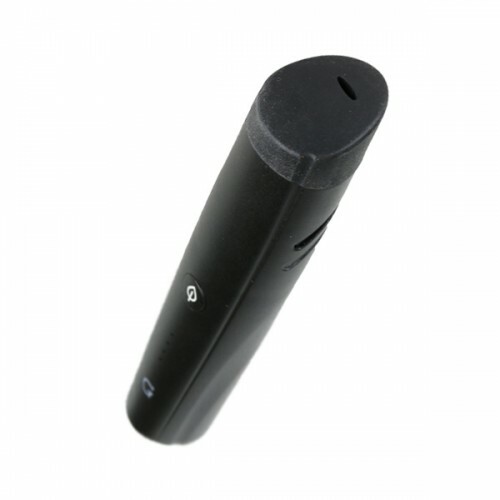 G Pro Herbal Vaporizer features a convection heating system, a rarity among portable vaporizers. Rather than combust dry herb directly against a hot surface, the G Pen Pro vape sends hot air flowing through the herb chamber to vaporize its contents free of combustion and irritants. The heated air makes contact with more surface area than a conduction chamber can, which is how the G Pro vape creates milky, comfortable vapor. The new ceramic chamber is low conductivity so it won’t get hot and burn your dry herb. 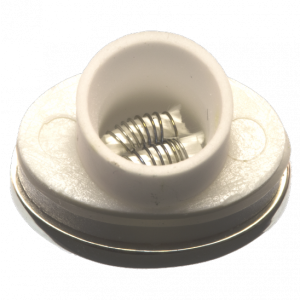 Instead, hot air seeps through air holes at the bottom of the chamber, vaporizing dry herb at a sweet spot beneath the point of combustion. The G Pro herb chamber is roughly 0.5 grams, much larger than the usual portable vape. You can enjoy longer sessions without the hassle of reloading frequently. The ample chamber of the G Pro vaporizer, coupled with the advanced convection heating system, makes G Pro the go-to vape for dry herb enthusiasts with busy on-the-go lifestyles.